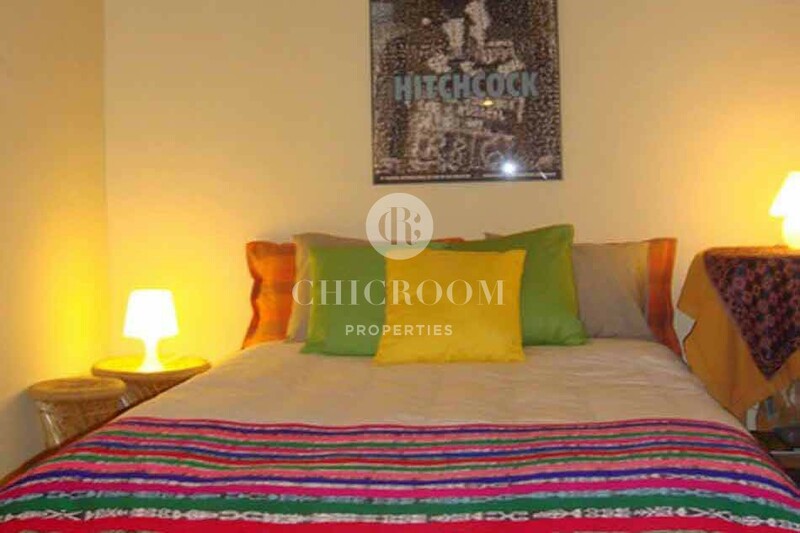 We would like to introduce you to this furnished 1 bedroom apartment for rent in the Gothico. 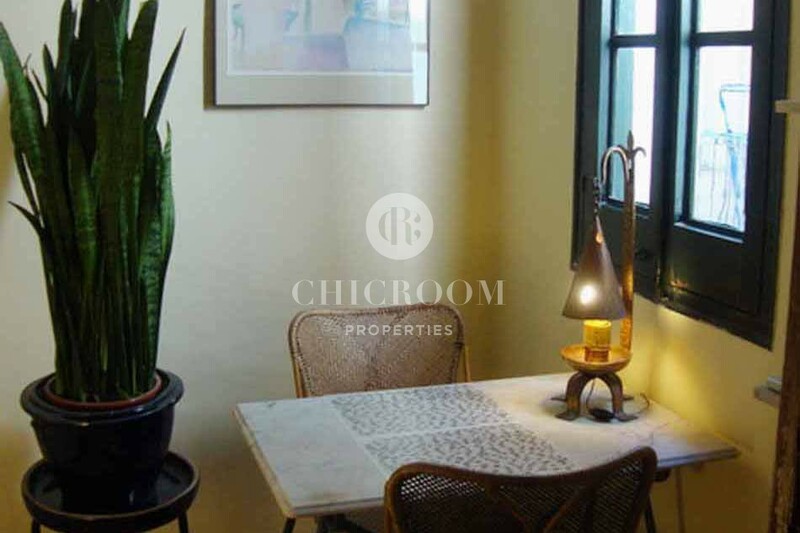 This cozy apartment is localized in the most beautiful part of amazing Barcelona. 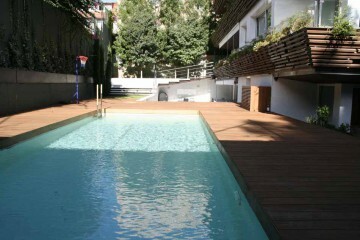 This is a place where you can feel home atmosphere living just in the city center. 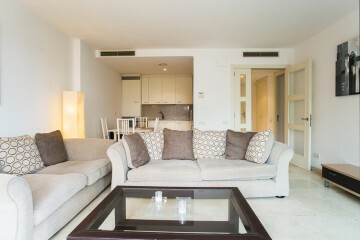 This 60 m2 intimidate apartment offers you living room with comfortable couch and armchair with two coffee tables. It is a perfect place to relax and spend some free time. This area has very warm, sunny vibe due to yellow walls and big Windows, that bight up the place. 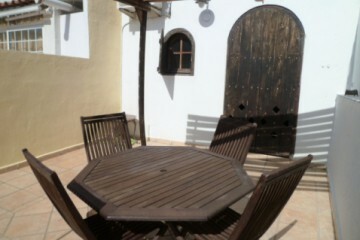 Dining area contains one table and two chairs. This cozy place will provide you an intimate atmosphere that will make every meal with another person very special. 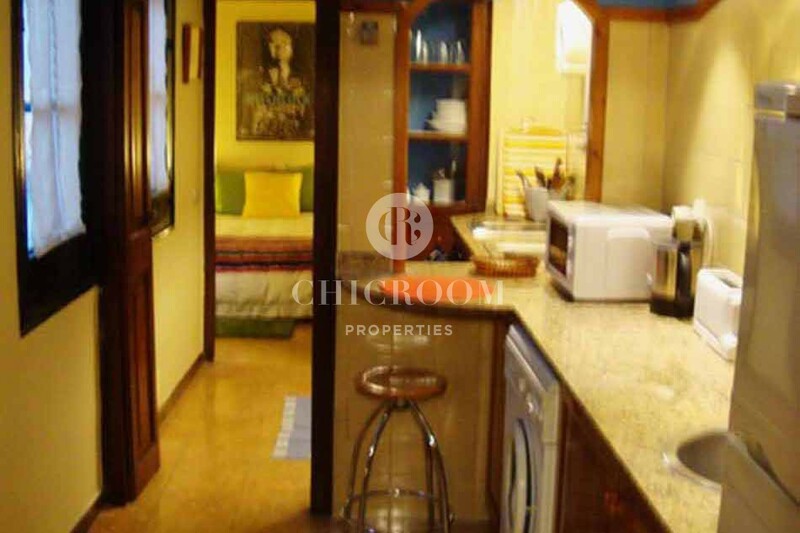 Kitchen will provide you everything you need in a limited area. 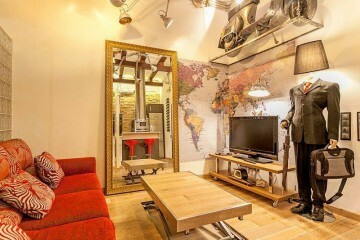 It has a refrigerator, microwave, washing machine, and sink. This kitchen makes it easy to keep clean and to tidy up after cooking. In the bedroom, you will discover comfortable doublé bed, which will make you fall asleep immediately. This room is brightened up thanks to light yellow walls, that helps to calm down and are perfect to get some rest. 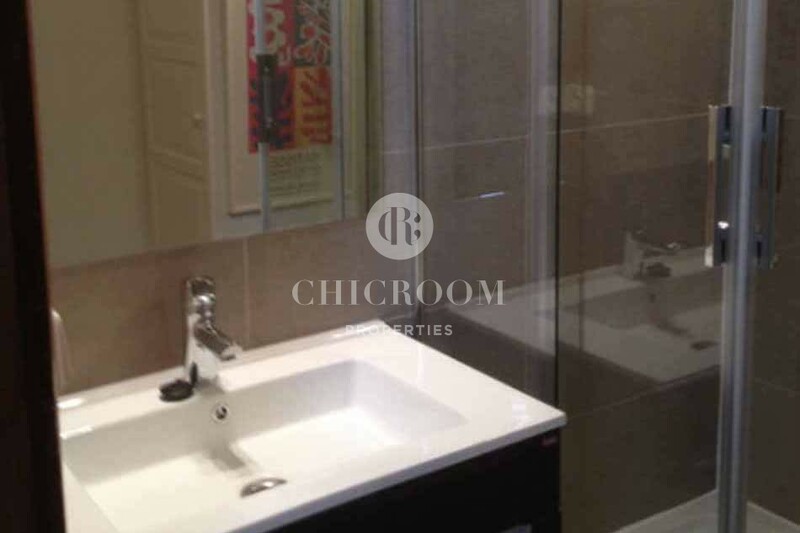 The bathroom offers you more modern look and it has elegant, dark wood sink cabinet, and fabulous polished shower. 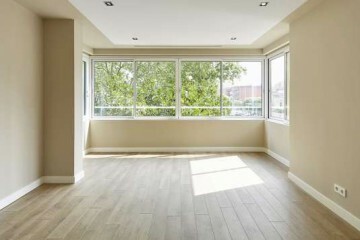 This apartment biggest value is it home vibe, which makes everyone feel welcome and the localization. Its set in the historical part of Barcelona, what makes it a perfect spot for everyone who loves architecture, history but also like to feel the big city atmosphere. 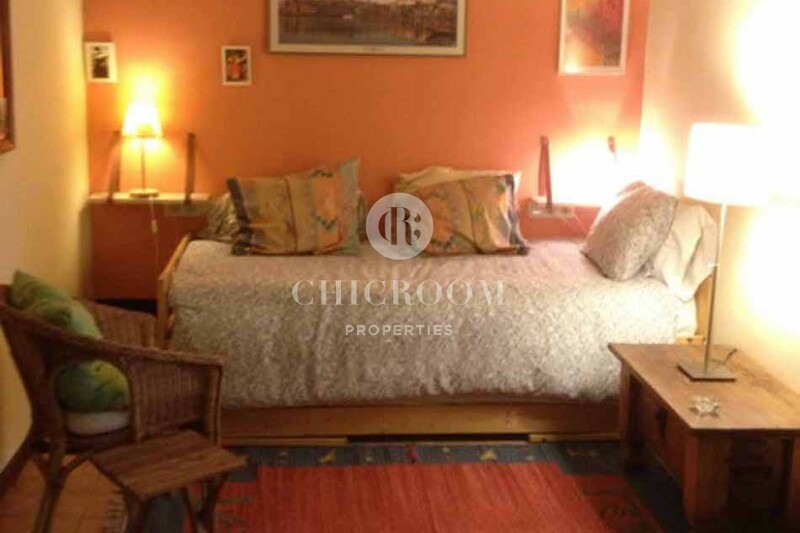 It is just a few minutes away from Picasso Museum, famous Gothic Catedral and most known La Rambla. Due to this unbelievable localization, you will have plenty of restaurants, bars, small shops choices. Nearby you can fins also Corte Ingles – mall perfect for bigger shopping. This fantastic place will make it easy to travel around the city. There are plenty of buses and metro stations. 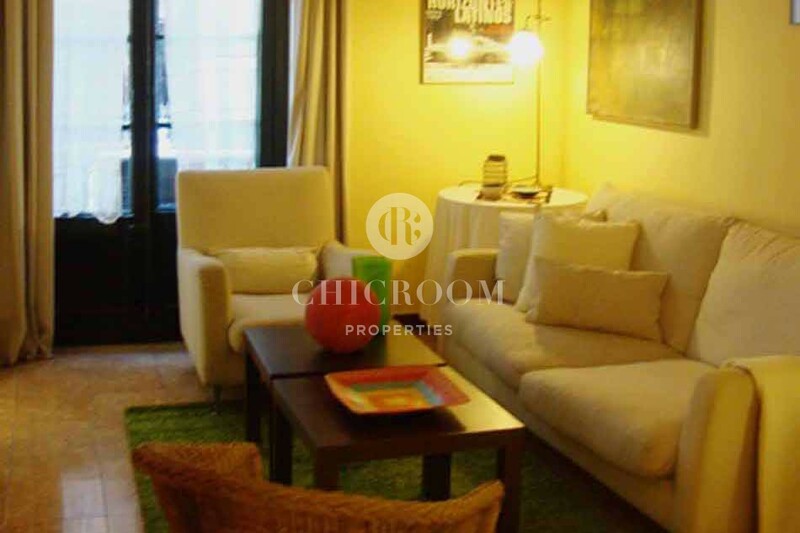 Don´t miss this unique opportunity to enjoy your time in Barcelona in this furnished 1 bedroom apartment for rent in the Gothico. It is a perfect place for individuals and for couples, especially for those who love coziness and practicality.